Overwatch pro Lucas “Mendokusaii” Hakansson wasn’t expecting to drop out of school. The plan, originally, was for him to take a year off—not all that uncommon in his homeland of Sweden—to see if he could get good enough to go pro. One day, though, Hakansson’s dad Henrik met with the school’s administrators. “He didn’t ask me. He didn’t tell me. He just came home like, ‘you didn’t take a year off; you just dropped out of school,’” Hakansson told Kotaku last week at an Overwatch League media day in Los Angeles. For Hakansson, his dad’s proclamation came as a surprise, but not an unpleasant one. School was never really his thing. As a kid, he struggled with depression and anxiety, and no matter how many times he tried to find the missing piece that’d make everything click together, nothing quite fit. He failed his classes, and he didn’t care much for sports, either. The one thing that made it all bearable was video games like Counter-Strike and the sense of tangible self-improvement that Hakansson found in them. Henrik, who’d watched both of his kids’ grades suffer as they shirked responsibilities and cut class to play games, was initially not on board. He thought his sons were lazy and aimless digital deviants who were in real-life danger. Henrik grounded his sons in hopes of getting them back on the straight and narrow. Coupled with depression and anxiety—things Lucas didn’t even have words for at the time—the punishment made him miserable, but not enough to overpower the sense of purpose he’d found in games. As a teenager, Lucas Hakansson started taking games more seriously. He’d practice consistently with teams. He and his friends weren’t just playing for the sake of it: They had aspirations, dreams of making it into the big leagues, which weren’t even that big at the time. Slowly but surely, Henrik—almost entirely responsible for his two sons after a separation with his wife when the kids were young—started to come around. “He started to realize that there’s nothing else I’d rather do,” said Lucas. A 50 year-old furniture builder turned IT worker, Henrik Hakansson didn’t always understand the burgeoning esports world that his sons were obsessed with, but he tried to. He even started playing games like Call of Duty. Then he pulled his son out of school. Henrik went all-in on this gambit, too. While Lucas practiced against players from across the world, sometimes for as much as 18 hours a day, his dad ensured that the fridge was always stocked with his son’s favorite foods. He did the dishes. He cleaned his son’s room. Lucas got to train like Overwatch was the only thing in the world, because for him, it kinda was. Eventually, he made it onto a small team. Then a bigger team. Then another. 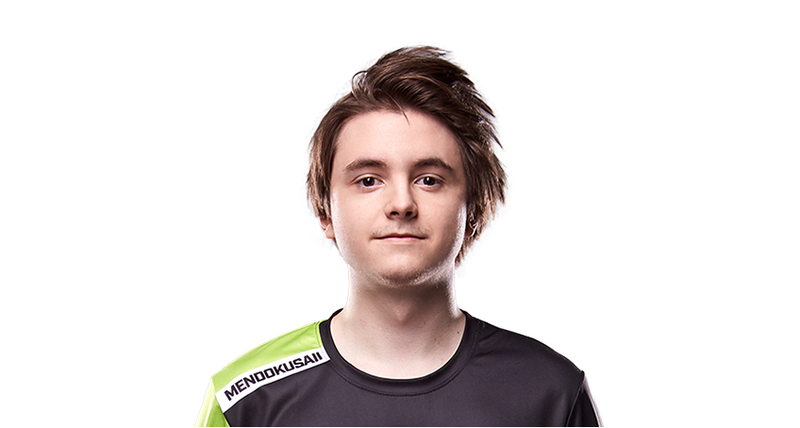 Now he’s a DPS player for Houston’s Overwatch League team, the Outlaws, and a recognizable player and streamer besides. At age 19, he’s made it to the upper echelon of Overwatch success. Now that Lucas Hakansson lives in LA to compete in the Overwatch League, it’s harder for him to stay in touch with his dad, who works a nine-to-five and lives in a different time zone. But his dad still tries to be supportive from afar. He lends a hand with taxes. He explains esports to Lucas’s grandmother. He even plays Overwatch himself now (on console).